One of the most vital responsibilities of any parent is the support of a child. Whether it is because agreed upon child support is not being received or because such support needs to be established or modified, the issue of child support can become burdensome. The stress of this is not only detrimental to the parent, but, perhaps more importantly, the results of child support issues can add stress to the life of the child. All children deserve a level of financial support for food, shelter, clothing, health expenses, and educational expenses. Establishing, collecting, or modifying child support is a highly technical matter best handled by an experienced attorney. 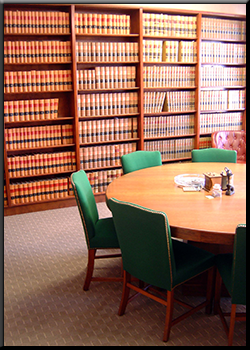 The law office of Frederick A. Costello is experienced in handling all aspects related to child support. We can help alleviate the burden when someone is not paying the required child support by legally representing the financial rights of the child. We can also help if you find yourself unable to financially support your child in the way you may have in the past. We can help you through any difficult time you may experience relating to child support in order to be sure that your child is cared for and your interests are protected. Whether your child support is not being paid, is just being determined due to divorce or other issues, or whether the child support needs to be modified due to some change in family needs, we at the law office of Frederick A. Costello are here to resolve the matter quickly. Contact us to be your legal representative in your child support concerns.